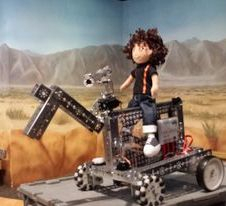 Please contact Renaissance Robotics to schedule a robotics demo or inquire about classes or camps we host. Renaissance Robotics has a long standing commitment to complete at least 2 days of outreach events per month along with longer community service projects that we do all season long. This has been part of our team culture from the beginning. Advice, Camps, Classes, Community Events, Conventions, Demonstrations, Google Hangouts, Helping to Create New Teams, Mentoring - both online & in-person of individual students, teams and coaches, Presentations, Skype Meetings, STEM Nights, Training, Workshops, and more. 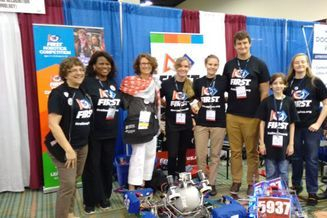 We'd love to present FIRST and robotics for you! 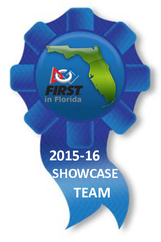 Every year, Renaissance Robotics has been recognized as a FIRST in Florida Blue Ribbon Showcase Team. A recognition earned for exemplary student-driven outreach and Gracious Professionalism. Selected outreach events are listed below. There really isnt enough room to list all of them on the webpage! 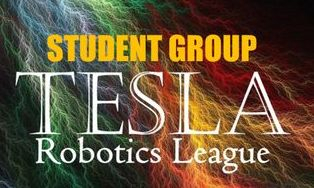 Tesla Student Group on Google+ - FTC Tesla Robotics League is a student group created 5937 Renaissance Robotics to allow students from all local teams to connect, share information & socialize outside of the tournaments. Weekly hangouts on a variety of topics are hosted. Monthly social events are planned. TEC Network enables FIRST Tech Challenge teams world-wide to easily connect, communicate, and collaborate with each other. 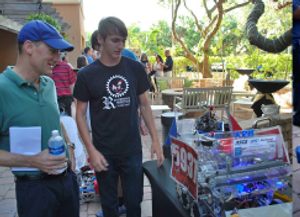 Renaissance Robotics has a long history of mentoring other teams. We have helped create several new FIRST teams. New for 2016-2017, we created and run Facebook groups for the three levels of FIRST that we have been involved in. These Facebook groups are a place for teams searching for members and members searching for teams to meet up with to connect with each other. It's a service to share information and allow folks to find people in their area to form new teams. Just one of the many teams we mentor! There are too many to put up a picture each time we help someone. We have facilitated the creation of new teams and clubs with real life meet-ups initiated from our Facebook groups to get interested parties in the same location and talking to each other. Every year we pick a project or two to focus our teams charity efforts on. We're excited about this years ongoing community projects that focus on recycling, children & homelessness. Renaissance Robotics has always been involved with recycling and keeping stuff out of the landfills. Renaissance Robotics collects used grocery bags and prepares the bags to be turned into crocheted sleeping mats for the homeless. 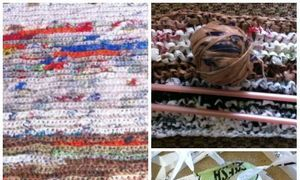 These lightweight recycled plarn (plastic yarn made from grocery bags) crochet mats are just enough to create a barrier between the ground and the body, to help retain body heat while sleeping. If the mats get wet, they can easily be dried. Pryce, Rhiannon, Frankie, Luke, Adam, Jesse & Isaac at one of our recycled bag folding sessions. Recycled, scavenged and upcycled items have always been part of Renaissance Robotics. You get REALLY creative when you have limited resources. (A thrown out plastic bread box re-purposed into a ball collector helped up get to the Super Regional Championship one year). Our team reuses and repurposes recycled items. We off our extra recycled items to other teams to use on their robots or other projects. We make "reverse engineering boxes" to encourage children to explore how things work. 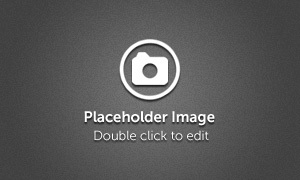 If you're looking for something particular and its not shown, contact us for alternative ideas or to see if we have it and just haven't found the time to update that page. Otronicon is Orlando's favorite interactive technology expo with state-of-the-art gaming and simulation technologies, including military and medical simulators not typically available to the public. Our League Championship was held, January 16th. The next two days, we pulled all day shifts working the FIRST booth at Otronicon. Little kids LOVE our robots! The A3 Business Forum is the world's leading annual networking event for robotics, vision & imaging, motors, and motion control professionals. Over 525 global automation leaders are attended this largest Annual Forum to date! It is one of the most anticipated networking events in the industry. A3 represents over 900 automation manufacturers, component suppliers, system integrators and end users that are driving automation forward. Other teams in attendance: FTC 9779 PIEaters, FRC 1902 Exploding Bacon, FRC 4013 Clockwork Mania, FRC 5816 GRA-V, and ???. Frankie explains how the robot he helped design and build works to A3 attendees. It's always fun watching him surprise guests with his knowledge. The Dorothy Lumley Melrose Center expands the role of the library. Building upon the very practical training that is currently offered, the Center offers access to hardware, equipment, software, support and programming to inspire and invigorate creativity and accomplishment. The Melrose Center is one of our favorite places with tons of great resources and really cool people. It's where we found our Mentor Bill! Three FIRST teams presented at this event FTC 5937 Renaissance Robotics, FTC 8996 Pink Fluffy Bunnies & FRC 1902 Exploding Bacon. Renaissance Robotics helped the Melrose Center celebrate their 2nd Anniversary. Renaissance Robotics was one of 6 teams invited to participate in a demo for Lockheed Martin’s e-week event. We held a mock tournament and spoke to the Lockheed Martin Engineers about FIRST and FIRST Tech Challenge. Three Awards were given out. That was fun since no one knew what the awards would be for. It's great competing against Super 7 and Mechromancers, since it makes us better. All 3 of these teams are heading to the Super Regional Championship in San Antonio, Texas! For the off-season event, Adam, Gwen & Morgan took turns as emcee. I believe having team members as emcee's is a first for Tesla. They did a great job! 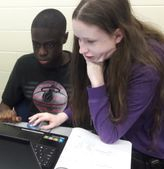 Rhiannon helped numerous teams when they ran into programming issues. With half the team we had with us doing volunteer work for the tournament, we still had a respectable finish and added another trophy to our collection. 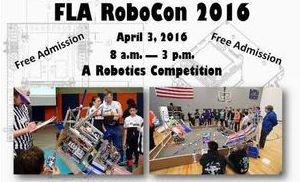 Renaissance Robotics will be hosting with the Forest Lake Academy teams next season! 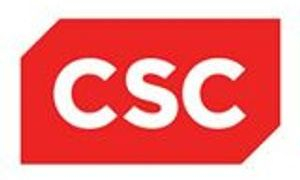 CSC is an established global leader providing IT and professional services and solutions to both public and private sector clients. This TechCon is well attended, by a world-wide audience. Four days of open to close demos for Renaissance Robotics. We love CSC and learn so much from this event! Renaissance Robotics is well received by all of their clients and partners. We didn't even get in the doors the first day before someone stopped us to talk about how impressed they were with our "Shark Tank" performance at this event last year. We learned to arrive early, knowing we would be stopped in the lobby to talk. We were the only FIRST team for 3 of the 4 days. FLL teams 8265 Bacon Builders and 19359 RoboRaptors joined us on the final day for a couple of hours each. CSC wrote a $10,000 check to FIRST! THANK YOU CSC FOR SUPPORTING FIRST! Rhiannon is always a crowd favorite when she starts talking about programming. Renaissance Robotics hosts these monthly events during late spring and summer for both kids and adults. It's an informational meeting to learn about FIRST and to see if you are interested in joining an existing team or starting a new team. Seriously? We demo at NASA and run into a FIRST friend from Elmer & Elsie who is here on vacation from Dallas, Texas. We played with them at the South Super Regional Championship in San Antonio, Texas. (and they are another homeschooled team). In addition to competing in this, Renaissance Robotics helped promote the event by advertising for and mentoring elementary kids who were new to the Engineering Encounters Bridge Design Contest. Five Apopka kids competed this year, including Blake who competed for the very first time. The Engineering Encounters Bridge Design Contest is an Internet-based competition that provides middle school and high school students with a realistic, engaging introduction to engineering. There is a local contest held at UCF for elementary, middle and high school students. Renaissance Robotics has competed in it for the past 3 years. Two out of three years at least one of our team took home a prize from the local event. We are on a mission to get more kids involved in this. It's fun, it's FREE, all area schools should be participating! Renaissance Robotics made sure these would happen, providing advertising, registration, and other background support. We also provide in class and after class support and mentoring for teams needing help. We are grateful for Tesla's Field Technical Advisor AJ for the work he has done preparing and presenting at these Summer Training Sessions. Pre-launch activities began on Wednesday evening with a welcome reception for the Military Space team that helped build the MUOS satellite. Dean's List Finalist Students were invited to bring their robots to the reception to show their designs and meet the engineers and team leadership. The robots were great ice breakers at the welcome reception, and the students had the chance to talk about their design process and challenges with about 30 members of the Military Space team, including program vice presidents. 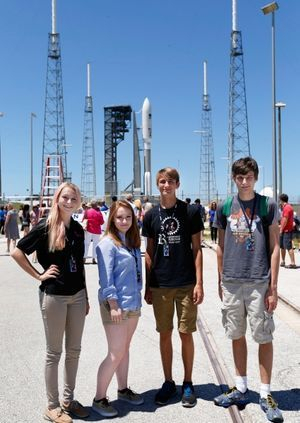 Four Dean's List Finalists, including Jesse of Renaissance Robotics, attended a program briefing to learn more about the MUOS program and its capabilities from the contractors who built it and the Navy customer, followed by a photo opportunity up close to the rocket. 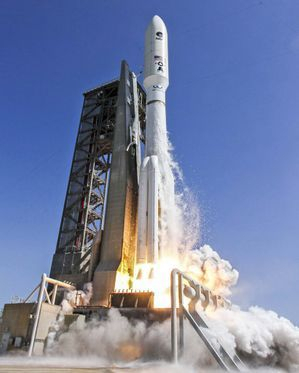 On Friday, June 24, at 10:30 a.m. the fifth Mobile User Objective System (MUOS) launched from Cape Canaveral, Florida, to eventually reach Geosynchronous Earth Orbit 22,000 miles above the Earth. 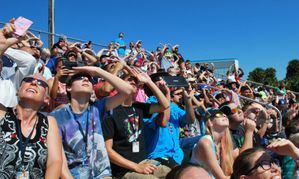 Among the crowd watching the launch from the Banana Creek viewing site were five high school students who are Dean’s List winners from each of the three Florida FIRST® Robotics Competition and the FIRST® Tech Challenge championship events. 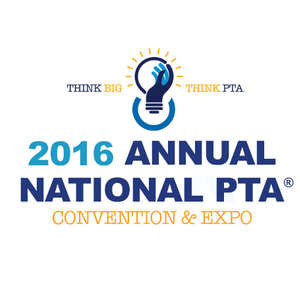 July 2nd - 2016 Annual National PTA Convention & Expo at the Dolphin & Swan Hotel in Orlando. Think Big, Think PTA over 1,500 of the nation’s most influential leaders in education, as well as other parents and educators were in attendance. Three FIRST teams manned the FIRST both for this event. Renaissance Robotics was the only FTC team in attendance. FRC 1902 Exploding Bacon was there on the 1st and FRC 3627 Jungle Robotics from Sarasota presented with us on the 2nd. At the PTA event, we even ran into a parent from 8373 Diva Force from Arkansas who recognized us. We played with them at the Super Regional Championship in San Antonio, Texas! Renaissance Robotics is helping rookie team BRICKschoolers-Melbourne get started and share the love of FIRST with others in their community. 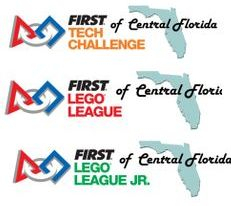 The event is geared towards both parents and children of FIRST Lego League age (typically ages 9-14) who are interested in learning more, starting or joining a robotics team. 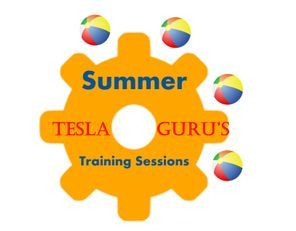 July 9th, 17th, 23rd, 31st - Summer Training Sessions with the Tesla Guru's: Programming for Modern Robotics IR Seeker V3 & more! 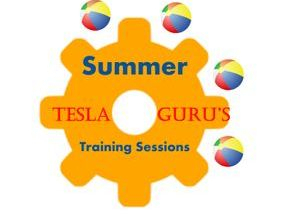 We are grateful for Tesla's Field Technical Advisor, AJ, for the work he has done preparing and presenting at these Summer Training Sessions. 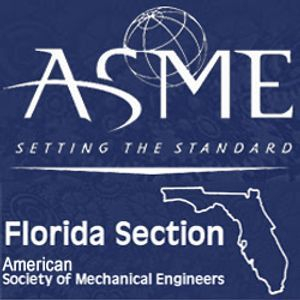 The East Central Branch of the Florida Section American Society of Civil Engineers is an award-winning Branch, which is one of the most active in Florida Section and the Nation. 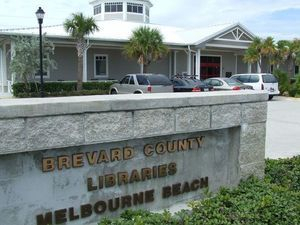 The East Central Branch of the Florida Section was founded in 1958 and includes members from Lake, Orange, Osceola, Seminole, Sumter and Volusia Counties. We are excited to be one of the two FIRST teams invited to present at this event. It's always fun presenting with Super 7. This was also the public debut of our Joust-bots which we designed to be a kid friendly demo robot, but challenging enough for adults to have fun with. 5937 Renaissance Robotics & 7477 Super 7 at the ASCE Ice Breaker held at Orlando Science Centers Dino Digs Exhibit. We've known them since FIRST Lego League! 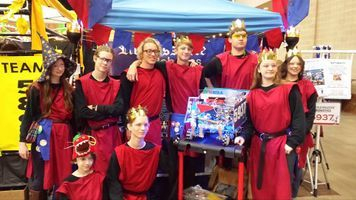 Renaissance Robotics will be presenting on FIRST, demoing last years competition robots, sharing our new Joust-Bots and even Special Effects at this event. The purpose of this event is to bring something awesome to the Astor community, promote the great services and opportunities the library provides, and yes, even raise some funds for programs, equipment, tech and of course books! 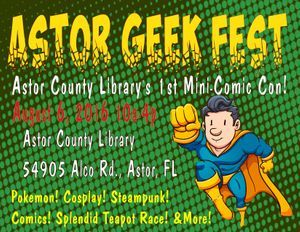 Come see Renaissance Robotics at Astor Geek Fest! 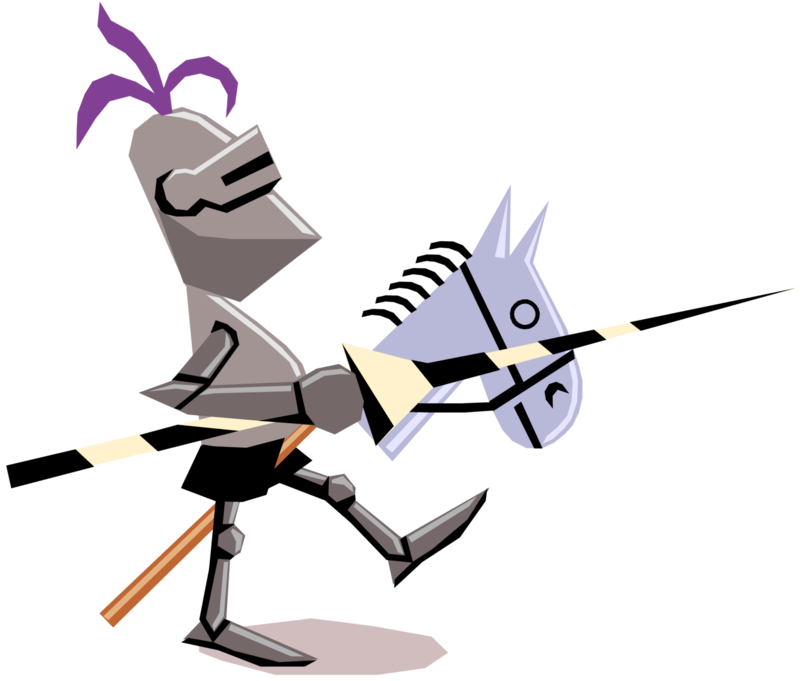 Are you a Jouster or a Jester? Can you beat the Gauntlet? 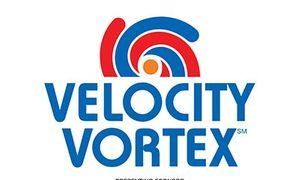 September 10th - Velocity Vortex Kick-Off at Middleton High School, Tampa. Forty-some teams gathered together at Middleton High School to await the unveiling of this years FIRST Tech Challenge Game. Renaissance Robotics was honored to have the opportunity to present alongside some of the local FIRST legends. ﻿Rhiannon & Mentor Morgan presented and gave out Engineering Paper to teams in attendance. We all caught as many presentations as we could. You can access the various presentations from Kick-Off from the FLFIRST website. 5937 Renaissance Robotics and 8601 Godly Gears worked together to share FIRST at an American Society of Mechanical Engineers monthly dinner meeting with the goal of inspiring the engineers to create new FIRST teams, mentor existing teams and encourage them to volunteer at Tesla's and other FIRST events. It was neat to find out one of the engineers in attendance also homeschools his kids. We're excited about the post event follow-up we have had from the engineers in attendance. Our demo Joust-Bots have proved to be a hit with both adults and kids. 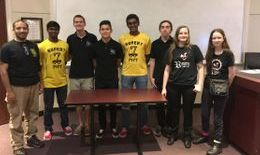 Renaissance Robotics and the 3 teams from Forest Lake Academy - 9444 FLA Tech 2.0, 10980 Magnum Bellatorum, 11020 Terminators - got together to share ideas. We presented on the Engineering Notebook and talked about Game Strategy. Rhiannon, Frankie and Adam went out to Mt Sinai Junior Academy in Orlando to share our presentation on the Engineering Notebook with their team 9442 Advanced Tech Masters. Most of their team is new this year, and this is their first year participating in Tesla Robotics League events and we wanted to make sure they got off to a good start. They are excited for the season and asked lots of good questions. 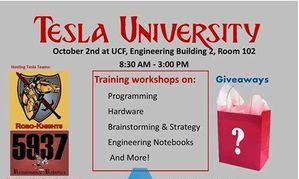 Hosted Tesla University with 9930 Robo-Knights. All attending teams left with some neat prizes that we arranged with ServoCity. 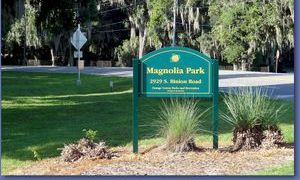 October 21st - 16th Annual Pumpkin Fest & Hayride at Magnolia Park, Apopka. We were back volunteering at one of our favorite annual events - Magnolia Park's Fall Festival. We'll be working there from set-up to tear-down. We have volunteered in various roles at this event each year since BEFORE we were in Junior FIRST Lego League! Be sure to come see us; we likely wont have robots with us, and you may not recognize us in our costumes, but its LOTS of fun! 16th Annual Pumpkin Fest and Hayride: October 21, 2016, 6 - 9 p.m.; cost: $4 per child, adults free. The crew from one of the 4 candy stops manned by Renaissance Robotics. Always great to have Helen & Billy from our FLL days join us. The Greatest Show and Tell on Earth. 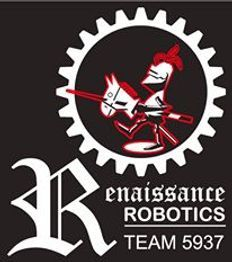 Renaissance Robotics was one of the first 64 teams confirmed. 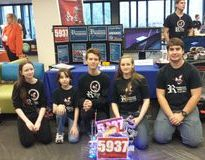 On Saturday, we demoed with 6090 Rockstar Robotics, 5070 NUTS, 6379 Clockwork Mania. 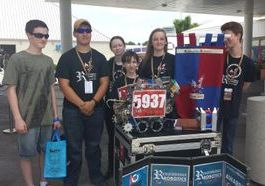 We were surprised to see 5257 Eagles Robotics Xperience & 8754 Electro from the Palm Beach League for a few hours also! On Sunday, we demoed with 7477 Super 7 from the Space Coast League. FRC teams - Exploding Bacon, Gra-V & The Pink Team were also there. FLL was represented by Bacon Builders & Rockstar Robotics. Rhiannon, Frankie & Devin worked the Makers Faire to represent FIRST Tech Challenge as many of our seniors were testing! 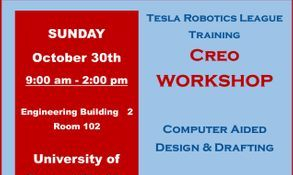 5937 Renaissance Robotics & 7477 Super 7 presented a Creo Workshop. There were several Tesla teams in attendance and even one from the ROBOT League. Collection week is actually November 14-21st, so if you're reading this there may still be time for your team to participate. We get ours done early, because they are collected early by a local school. Packing shoe boxes of toys, school supplies, hygiene items, accessories, crafts, etc to be sent to children in need for Christmas. 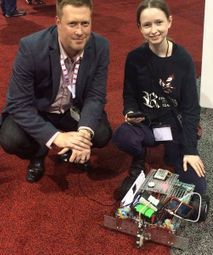 November 13th - Co-Hosted Tesla Meet 1 -"Robots in Oz"
 FIRST was represented by FIRST Tech Challenge teams 5937 Renaissance Robotics and 7477 Super 7 and FIRST Robotics Competition team 1369 Minotaur at the WORLD'S LARGEST Modeling, Simulation and Training Conference held at the convention center. December 4th - Supporting Forest Lake Academy with their hosting of Tesla's Meet 2.